This is our Troop 497 Calendar for the 2018-2019 Scouting year. It is updated periodically throughout the year as new information becomes available. If you know of an event that should be on our scouting calendar and is not, then, please email the web master below. The Event List, also available from the Schedule menu has a list of major events with known dates. Last update: 6 February 2019. Please check back for updated calendars and also check the Events List under the Schedule Menu above. 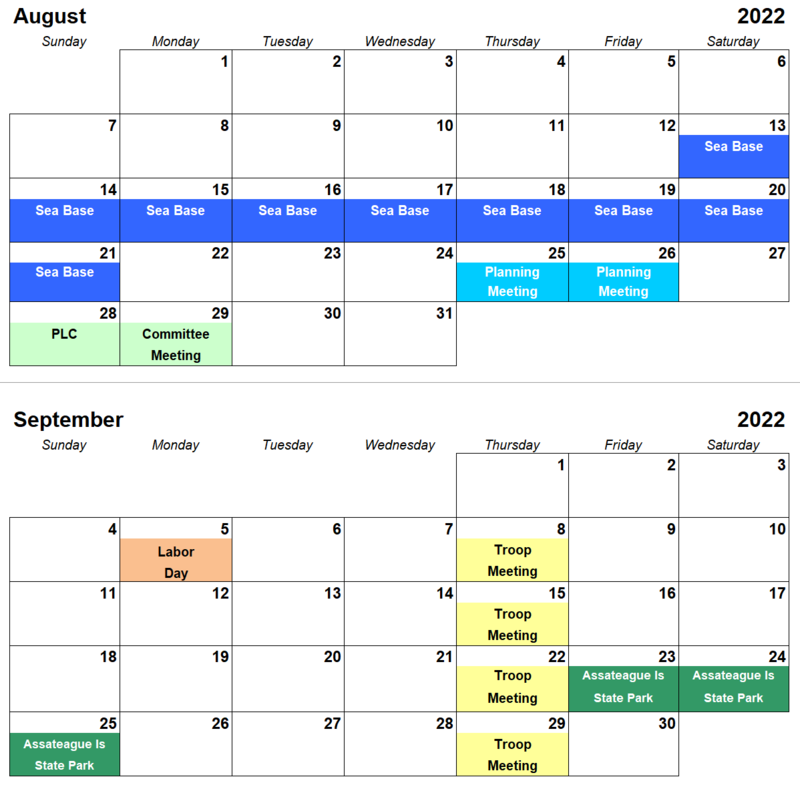 This is a preliminary calendar and is missing some annual events. We will attempt to have a completed calendar in time for the October Parents' Meeting. The image below is for two months. click on the image to open a printable pdf version of the calendar for the remainder of the scouting year.